You are not logged in. [Log In] Weatherzone » Forums » Photography » Non-weather Photography » Nature & Landscape Videography. #1366781 - 21/02/2016 08:53 Nature & Landscape Videography. G'day folks, I thought I would start place for everyone to share their videos of the natural world. Wildlife, landscapes etc. Camped up at Queen Mary Falls last week and enjoyed the short walk to the falls in the morn. Cheers. A short timelapse of an ever changing Mt Lindesay. Nice work Joesk. I love the Queen Mary falls especially when its going full belt . Well done JOESK, I remember going to Killarney as a kid of about 8 and on to the Falls. Dad was from Warwick/Gladfield originally and we were living in Coonamble. So we didn't get up there very often. They are the first waterfalls I can remember and I have been super impressed by them ever since. Thanks Jennistar, glad you enjoyed them!! 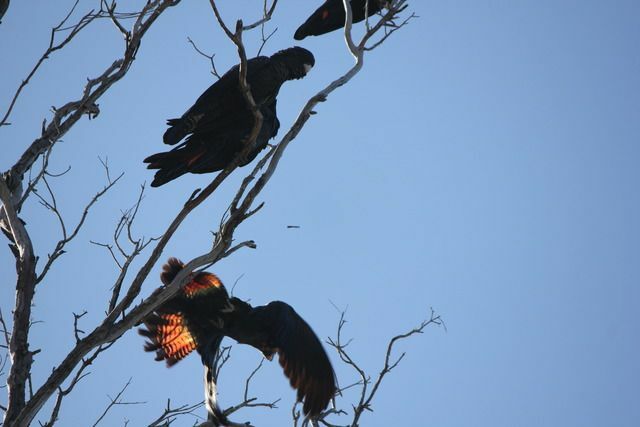 A couple of pics of some of the black cockies that regularly visit. 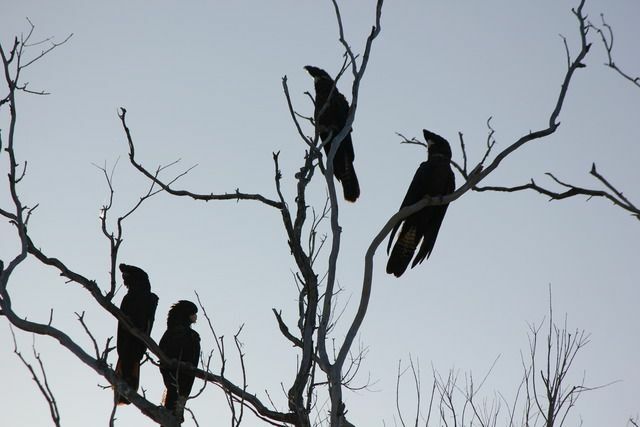 They love this big dead tree near the shed. 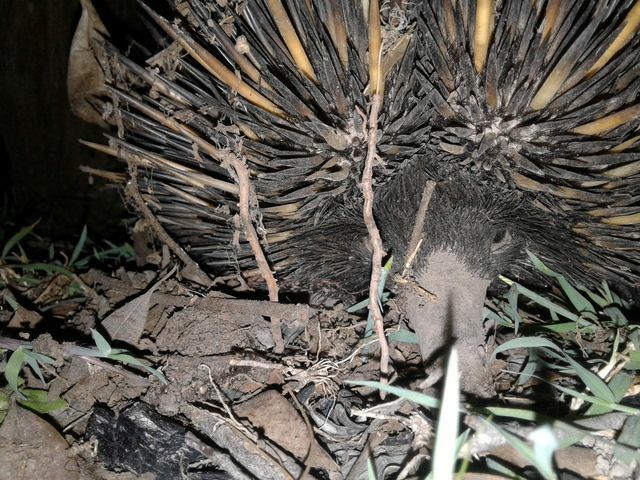 Then there is the echidna we had to dig out of the garden after he had half buried himself to escape the dog. We relocated him to outside of the house yard for his safety. Even tying the dog for the night might not have saved him if he had found somewhere else in the yard to hole up. I did remove some very large ticks from him before releasing him. Unfortunately the Wedge tailed eagle that visited the other day was a bit too fast flying away for me to get a decent pic. A video I took last summer up at Springbrook of a Bandy Bandy and it's defensive looping display. I'm lucky that several of my camps in the ranges of the Scenic Rim in South East Queensland, I share with the large and silent Greater Glider. In this particular camp I'm extra lucky as it is also home to two of the white morph of the gliders.. They can glide up to 100 metres and execute 90 degree turns mid flight with their long tails (up to 60 cm ) acting as a rudder. These two are around 40 to 50 metres up in the tops of a stand of Flooded Gum. 4 registered (gberg, ashestoashes, Vinnie, Mcbobbings), 56 Guests and 3 Spiders online.